Have you ever felt the touch of someone’s hand on your shoulder and found yourself letting go of tension you didn’t even know you were holding? We can probably all remember the impact a touch has had on us, whether casually or in a therapeutic setting. As practitioners, we have daily experiences of the effects of touch on our clients. Current research in neuroscience is looking directly at the brain’s response to touch. Lucy Brown, a neuroscientist interested in studying alternative therapies, presented recent findings at a talk at Harvard Medical School. What follows is primarily my summary of her talk with a few comments from the point of view of a practitioner. Current research tracks the impact of touch on the brain with functional MRI (fMRI). FMRI can detect activity in different brain areas by measuring the increase in blood flow that is correlated with an increase in neuronal activity. While this research is still in its infancy, it holds some promise for elucidating what we intuit from our experience as practitioners and recipients of therapies based on touch. The studies are part of a new trend: to look for integration of response rather than investigating each part/function separately. The fMRI studies show that touch has a wide impact on the brain, influencing our sensations, our movements, our thought processes and our capacity to learn new movements. Touch appears to affect multiple brain regions at conscious and unconscious levels. 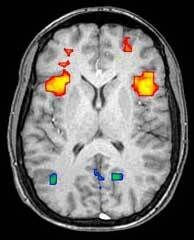 FMRI scans offer a way to see a response even when the subject does not report having consciously experienced an effect. This is significant since until now we have had to depend on verbal reports to assess the impact of touch. As practitioners we know that perceiving and verbalizing sensation are skills that many patients may not have highly developed, so it is helpful to have an external, objective measure in addition to felt-experience. 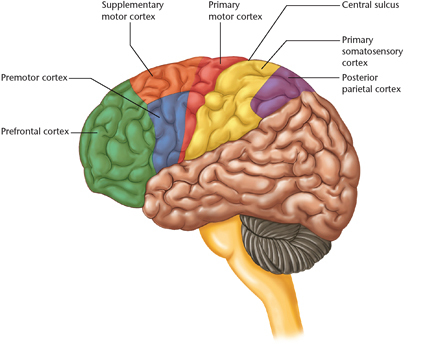 On the surface of the brain is an area known as the somato-sensory cortex. 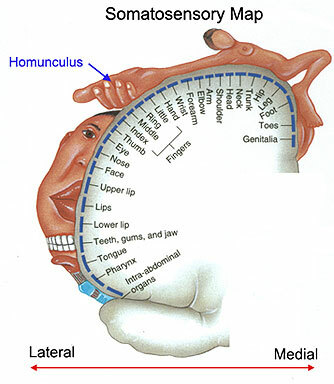 It is the brain’s map of the body, known familiarly as the “homunculus.” As might be expected, touch increases activity here (Young et al 2004). When someone touches you, receptors in the skin and or in the muscles transmit a signal via the spinal cord and medulla to this area of your brain; this corresponds to an increase in the activity of the neurons in this area. Touch receptors in skin are distinct from those in muscle. There may be measurable differences in brain response to different depths and duration of touch. This is an as yet unexplored area. Perhaps a little less anticipated is the responsiveness of motor areas (motor cortex, supplementary motor cortex) to touch. In the past, these two functions, motor and sensory, may not have been so obviously correlated. The fMRI scans reveal an increase in activity in the motor areas as well as the sensory areas of the brain in response to touch. Most of us take the relationship between our proprioceptive (proprio=self) sense and our ability to move for granted. Jonathan Cole (1995) writes about an unusual case of a man who lost his capacity for proprioceptive sensation and appeared to be paralyzed. This patient has been able to learn to move painstakingly, by depending on his visual system alone. As long as he can see his limbs, he can control their movement. Once we think about it, it seems straightforward: for most of us in order to move, we depend on our ability to feel ourselves. However, traditional exercise does very little to maintain the sensory system as an aspect of our movement capacity. We think of the muscles as moving independently from our feeling them. Just go to any gym and see how people are mostly tuning out of their sensory experience as they exercise while reading the paper or watching TV. This is in contrast to more ancient, holistic systems, yoga and tai chi for instance, which emphasize sensory awareness as a part of movement skill. The fMRI scans show that touch influences both the motor and sensory systems. Perhaps this information will translate eventually into a different approach to our own physical experience. Another study showed that the response to touch in the brain was greater when it was connected to a meaningful task, i.e. when the subject had to pay attention to the sensations; (Porro et al 2004) (Nelson et al 2004) Ida P. Rolf had a famous directive to practitioners: “Put it where it belongs and call for movement,” she would insist. Intuitively, she knew that the client’s active participation had an important impact. While it may not be necessary to touch deeply to have an effect, the patient’s attention/active participation may be a significant aspect to consider in our work. The basal ganglia, part of the brain active in learning/establishing new motor patterns, were also affected by touch. 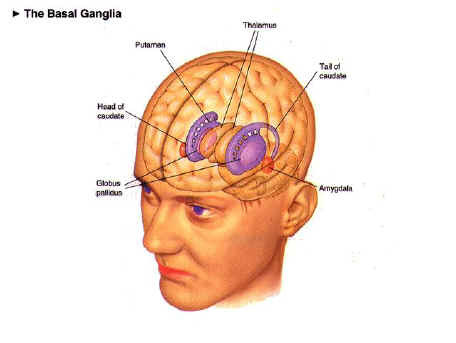 Studies show the basal ganglia are very active while you are learning a video game like Tetrus, and keep some activity even after you have mastered the game. 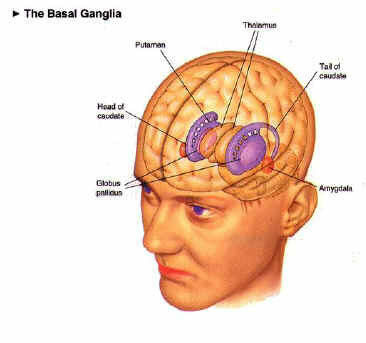 The basal ganglia are also implicated in certain motor disorders like Parkinson’s as well as obsessive/compulsive disorder (OCD). 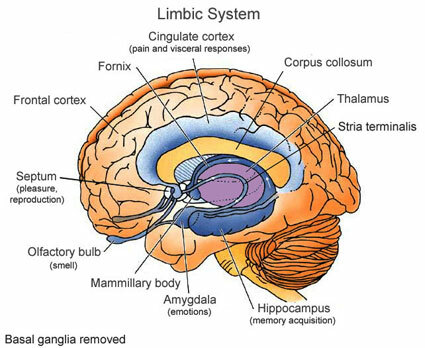 Along with the motor and sensory systems, and parts of the limbic system, touch also stimulated this area of the brain. From what can be seen so far, touch impacts many parts of the brain and multiple functions. Our thinking, feeling, sensory and motor systems are all affected by touch as well as parts of the brain involved in learning new movements. Future research is planned that will correlate some of these measured changes with therapeutic effects. Eventually we may be able to use the results of fMRI studies to get insight into the effects of different kinds of touch as well as individual differences in response. Studies such as these will contribute to our understanding of what we do as practitioners as well as help support the value of alternative therapies in the mainstream view. Nelson AJ, Staines WR, Graham SJ, McIlroy WE (2004) Activation in SI and SII: the influence of vibrotactile amplitude during passive and task-relevant stimulation. Brain Res Cogn Brain Res 19:174-184. Porro CA, Lui F, Facchin P, Maieron M, Baraldi P (2004) Percept-related activity in the human somatosensory system: functional magnetic resonance imaging studies. Magn Reson Imaging 22:1539-1548. This entry was posted in Special Projects by aline. Bookmark the permalink.